“I regret the lawyer’s uncalled for statement and are also filing a written unconditional apology from the core of our heart. The lawyer (Rajeev Dhavan ) might have exceeded the brief and made unnecessary comments. It will not happen again…it will not happen again…I do not know what to say..but lordship please withdraw mornings order” SENIOR LAWYER KAPIL SIBAL WHO LATER REPLACED DHAVAN TO CJI. In a huge relief to Sahara Chief Subrata Roy, the Chief Justice T S Thakur -led bench of the Supreme Court which had almost send him back to Tihar jail in the morning today following heated verbal exchange with his senior lawyer Rajeev Dhavan later in the evening gave him one week to surrender and also agreed to hear his plea for parole extension next Wednesday. The deft damage control move from Roy and Sahara group’s legal team worked as the bench changed the morning order--–“YOU GO TO JAIL. DON’T TELL US WHAT TO DO. WE ARE CANCELLING ALL INTERIM ARRANGEMENTS. LET ALL CONTEMNORS BE TAKEN INTO CUSTODY” to a much mellowed down “WE ARE GIVING YOU ONE WEEK TO SURRENDER. YOUR PLEA FOR PAROLE EXTENSION WILL BE HEARD NEXT WEDNESDAY” by evening. “I regret the lawyer’s uncalled for statement and are also filing a written unconditional apology from the core of our heart. The lawyer might have exceeded the brief and made unnecessary comments. It will not happen again…it will not happen again…I do not know what to say..but lordship please withdraw mornings order”, Sibal said. The CJI then told Sibal: “we were adjourning the matter. We were allowing you to sell properties. Do not think we are enjoying sending somebody to jail it actually pains us. May be he is very eloquent (Dhavan).. Then there are some people who raise their voice and try to browbeat the court. There is a threshold to our tolerance”. "We are seriously considering withdrawing designation of such lawyers," CJI said. The CJI said there are some senior advocates who are disrespectful to the court. 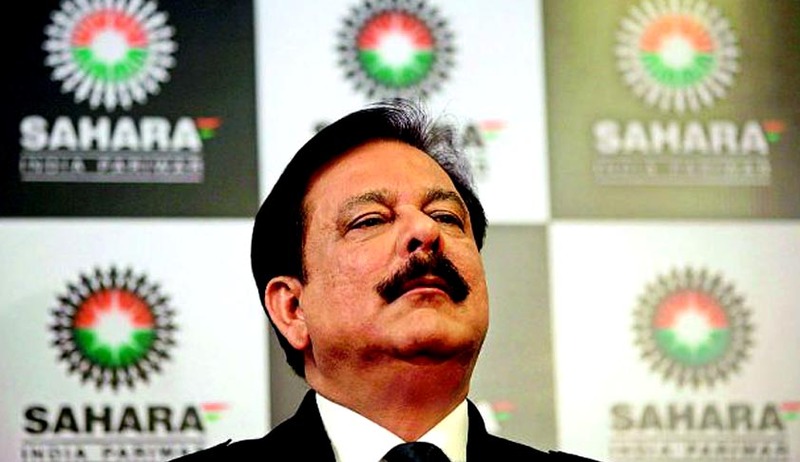 In the morning the bench cancelled all interim relief, including the bail granted to Sahara chief Subrata Roy and two others, and directed them to be taken into custody.